Gum grafting is needed when periodontal disease has gone untreated for a long time and your gums have receded. 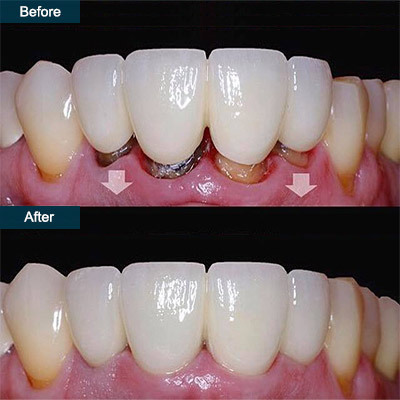 Gum recession leads to tooth loss. When it’s in your front teeth, it can affect your appearance. 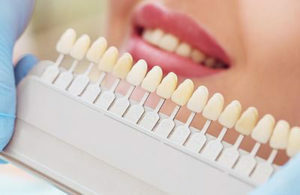 Gum graft recovery at Family Cosmetic & Implants Dentistry of Brooklyn following gum graft surgery is usually quick and painless when you rely on your experienced Brooklyn periodontist and top rated cosmetic dentist. Many people suffer from gum disease, also referred to as periodontal disease. The condition can cause gum recession, which also occurs if you smoke or brush your teeth too vigorously. As your gums recede, you experience increased sensitivity, exposure of your tooth roots and even potential bone or tooth loss — especially if you don’t get it treated. Connective-tissue graft. The most common procedure involves cutting a flap of skin from the roof of your mouth, called the palate, to remove some tissue. The flap is sutured back into place, and the removed tissue is stitched around the compromised gum area. This technique covers the exposed root. If you’re otherwise healthy, it quickly molds to form a natural, protective barrier. Gum graft recovery is fairly short. Free gingival graft. This method also involves making incisions in your palate, but there’s no flap. Your dentist just removes a larger amount of tissue directly, including some sub-epithelial connective tissue. This tissue is attached around the compromised gum, providing a thicker barrier and larger amount of cushion. If you have thin gums or need extra tissue protection, your Brooklyn family dentist may opt for this method of gum graft surgery. Pedicle graft. If you have relatively healthy gum tissue in all but one or two areas, your dentist may opt to make an incision in your gums close to the affected area, leaving part of the gum attached and stretching the gum carefully over the exposed area. This allows the gum tissue to stay connected to a healthy blood supply as it heals in place and begins protecting the tooth root. You must have a sufficient amount of healthy gum tissue nearby for this method of gum grafting to be successful. On occasion, your Brooklyn cosmetic dentists may choose to use donated tissue from a tissue bank instead of your own gum tissue. If you have a compromised immune system or exceptionally thin gums, this process allows you to still reap the benefits of gum grafting without compromising your dental health further. Your dentist may combine any of the above methods with tissue-stimulating proteins to help your body grow healthy bone and tissue. No brushing or flossing the affected area, along and under the gum line, until you’ve healed completely. Your dentist provides a prescription mouthwash that includes antibiotics to prevent infection and ingredients to control plaque. You should stick to a diet of soft, cool foods for the first week or two for gum graft recovery. Jell-O, eggs, cottage cheese, well-cooked vegetables, yogurt and ice cream are acceptable. Post-operative pain during your gum graft recovery is usually minor. Many report it feeling like a bad pizza burn. You can control the pain with over-the-counter or prescription pain-relievers. Your mouth heals quickly, so you should only experience discomfort for a few days. Though your mouth may be sore for a week or two, you should be able to resume your normal work routine the day after surgery. Let your dentist know if you experience any bleeding that isn’t controlled after twenty minutes of pressure. Also report unusual pain, bruising or swelling. Though rare, complications occasionally occur. 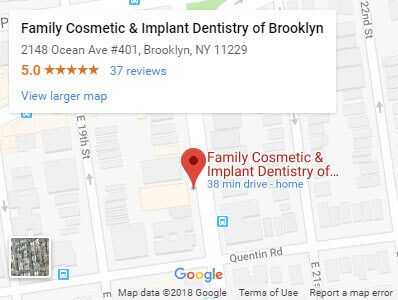 Your Brooklyn family dentist works with your individual needs, taking into consideration your medical and dental health, as well as any budgetary concerns you may have. Your dental health makes a world of difference in the quality of your everyday life. Do you have any questions about the Gum Graft (Grafting Surgery) procedure in Brooklyn? 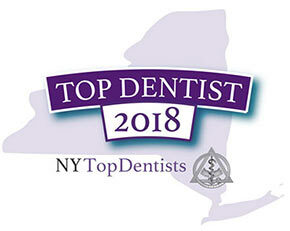 Would you like to schedule an appointment with the best rated Brooklyn dentist, periodontist and gum graft dentist Khabensky DDS of Family Cosmetic & Implants Dentistry of Brooklyn? 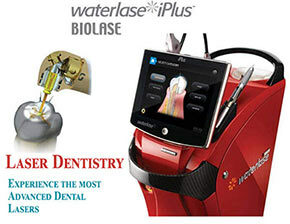 Please contact our dental clinic for consultation with the dentist Alex or Igor Khabensky DDS.